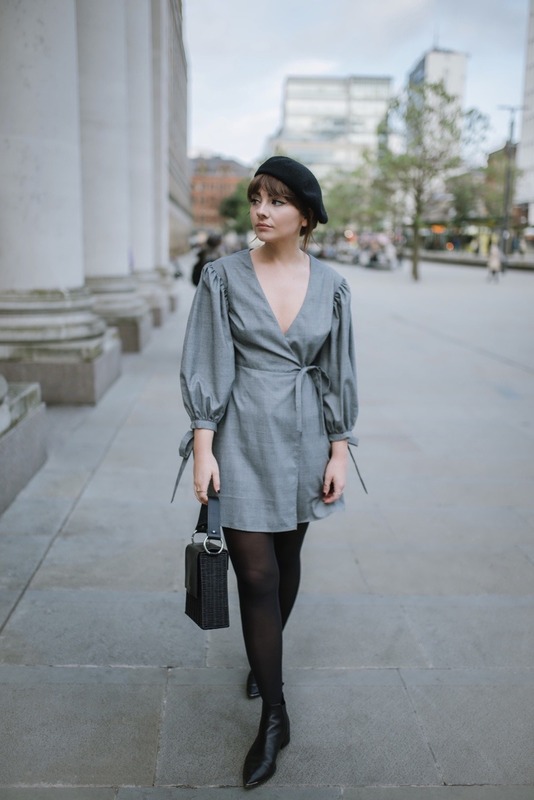 I stumbled across this dress on the Topshop website recently and instantly fell in love – you might have noticed that I’m a fan of the balloon sleeve trend. 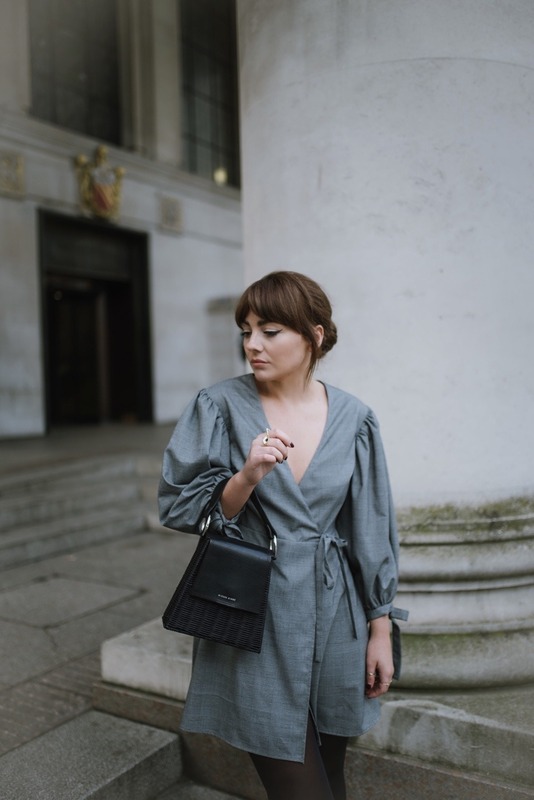 It happens to be flattering on my figure and always gives the illusion of a smaller waist – two things I will always be in favour of when it comes to fashion. 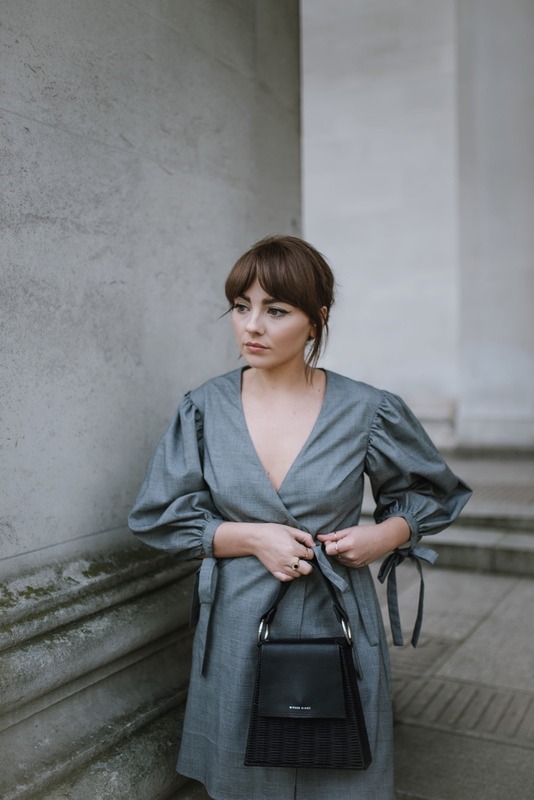 The Prince of Wales check and the wrap around detail means that it’s pretty much nailing three current trends in one neat package – three trends that I find to be timeless. It’s the perfect dress for this time of year because it doesn’t show too much skin, meaning I can wear it in the daytime with a big fluffy coat and still feel comfortable. I feel like it would also look amazing with some really sheer black tights and some patent platforms for a cool, eighties inspired evening look – especially with a statement red lip! 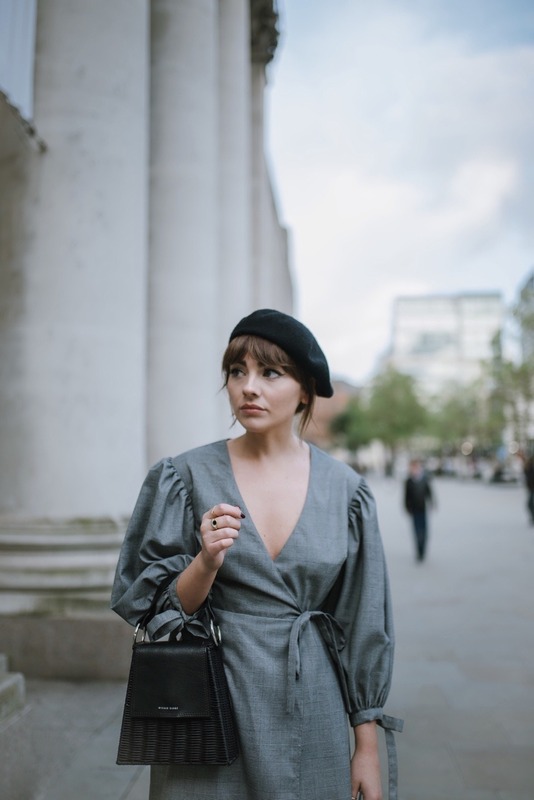 I opted for a black beret and my trusty Wicker Wings bag as my accessories of choice – I couldn’t recommend trying out the highly coveted beret enough if you’ve been debating it. It has your back on those bad hair days, and comes in pretty darn handy in terms of keeping the old fringe in place. I really want to invest in another colour but I haven’t quite decided what would suit me best – maybe a classic camel colour or a bright red for December! 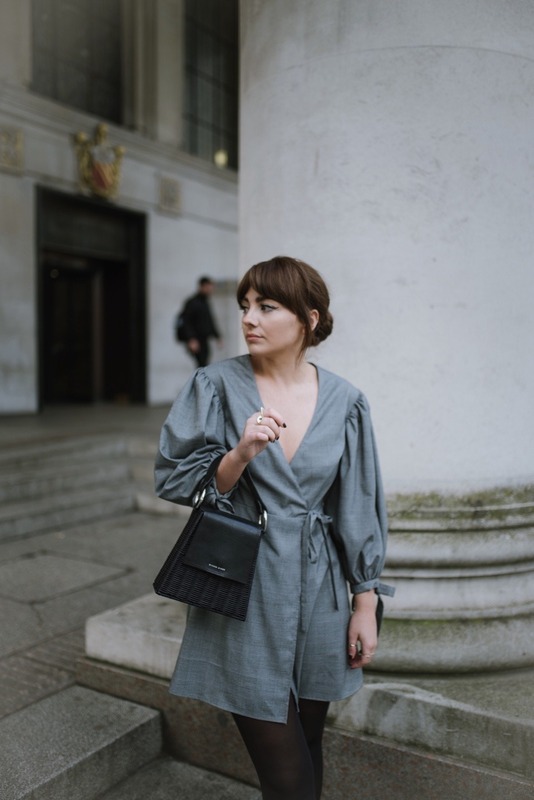 Wearing my hair in a low bun means I can take it on and off really easily and my hair doesn’t get in the way – it’s the low maintenance look that I’ve bee recreating for a good few weeks now. Loving this French inspiration (as a french woman myself), you belong to France ! !